Parental Alienation are destructive actions by an alienating parent to discredit and sabotage the target parent in the eyes of the child. This will eventually cause increased hostility and decreased contact with the child and the target parent. The alienating parent programs the child to believe that the target parent is mean, unloving, worthless and selfish, and makes the child believe that he/she will be happier if the targeted parent is erased from his/her life. What are some symptoms of Parental Alienation by the Alienating Parent? The alienating parent will try to program the child to dislike, hate, or fear the target parent. By causing the child to disown or distance themselves away from the target parent, the alienating parent may, in the end, cause a very distrustful and emotionally scarred child. The goal may be achieved, but not with the desired results of the alienating parent. Many times, the child, without hope, will turn on both parents and never be able to have trusting, loving relationships in his/her life. 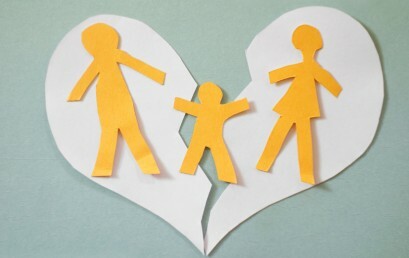 In recent years, “parent alienation” has become more prevalent in divorce cases. Parent alienation is the dramatic change in the relationship between a parent and their child when the child is used as a tool by one parent to hurt the other parent. Parent alienation can include much more than brainwashing of a child. In many cases, the child becomes hostile towards the alienated parent as they are fed not just conscious, but subconscious and unconscious, messages by the alienating parent. Frequently, the child will turn on the parent they previously loved and were very close to prior to the institution of the divorce proceeding. In some cases, the alienating parent will go to extreme lengths to keep the alienated parent from seeing the child for long periods of time. Children begin acting out and the situation quickly becomes volatile. Keep an even-temper, remain logical and keep your emotions under control. Never retaliate. Though you may think of giving up, never do so. Go to the financial expense of seeing the case through. Never give up on your child. There can be nothing more important than the happiness of your child. Seek help from a skilled attorney who has experience with parental alienation. Familiarize yourself with how the courts work and the laws as they apply to your specific case. Seek professional help and diagnosis. Keep a chronology or diary of events (this will help to jog your memory, keep track of witnesses, etc.). Document the alienation for submission as evidence in court. Keep the best interest of the child at heart. Provide the Court with an appropriate parenting plan. Make sure you understand the nature of the problem and focus on correcting it, even though you are being victimized. Always call and show up for visitation with your child at the scheduled time, even if there is no chance of the child being there. Take witnesses to testify that the child is not at home when you exercise your visitation rights. Focus on the child, and never talk to the child about the other parent or the divorce case. Never violate the Court’s orders. If you are receiving disturbing phone calls from the child or the other parent, tape the calls. If you are receiving disturbing emails or text messages from the child or the other parent, make a copy and place in a file. Though none of these tips will guarantee that you get custody of the child, they will definitely assist you in building a case against the parent who is attempting to alienate you from your child.